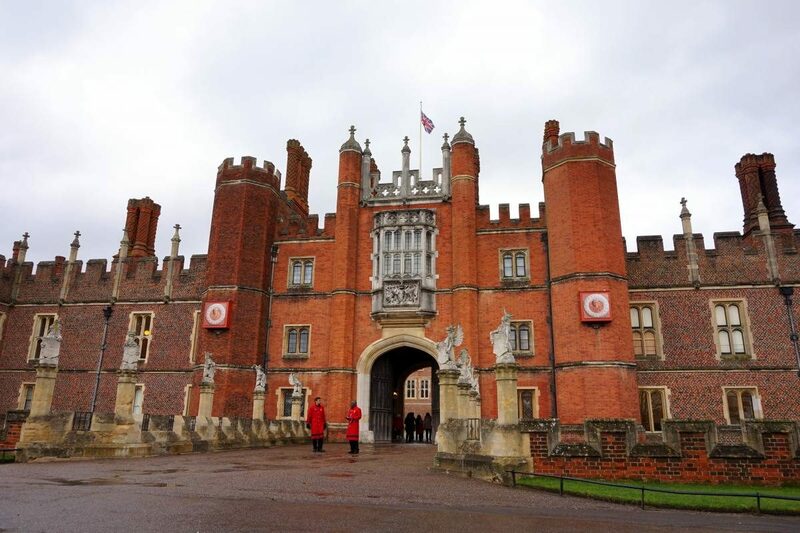 Hampton Court Palace is the most famous Tudor residence and probably one of the most fun palaces to visit. 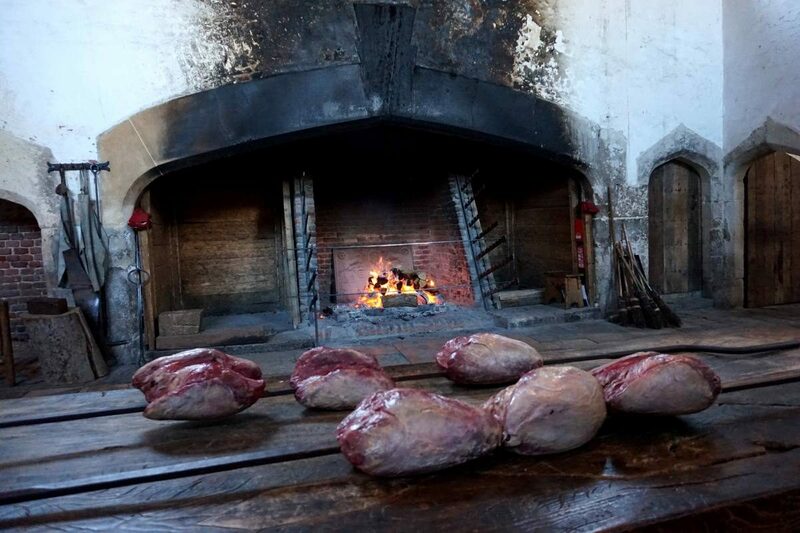 The place was the heart of many Tudor scandals from their daily life. So even if you’re not a big fan of history you can find something that interests you at the Hampton Court! During the Tudor period, the palace was the scene of many historic events. Starting from signing the Act of Supremacy in 1534 which made Henry VIII the head of the church of England and started English reformation. It was also the place of Edward VI’s birth, followed by the death of Jane Seymour. And also the first place of imprisonment of Katherine Howard, and the place where Mary I spent her honeymoon. Hampton Court Palace is located in the London Borough of Richmond upon Thames, just 45 minutes away from central London. I recommend staying in central London and taking a day trip to the palace. How to get to Hampton Court Palace? The easiest way to get to Hampton Court is by train as they run from Waterloo Station every half an hour. You can also take a train to Kingston and change into a bus to the palace. For latest schedule changes please check TFL Journey Planner. If you’re coming to Hampton Court by car, put KT8 9AU postcode into your Google Maps. Tickets to Hampton Court cost 21 GBP for adults & 10.50 GBP for kids for visits between March and October, and 18 GBP for adult & 9.10 GBP for kids if you’re coming between November and February. It’s cheaper to prebook your tickets online. 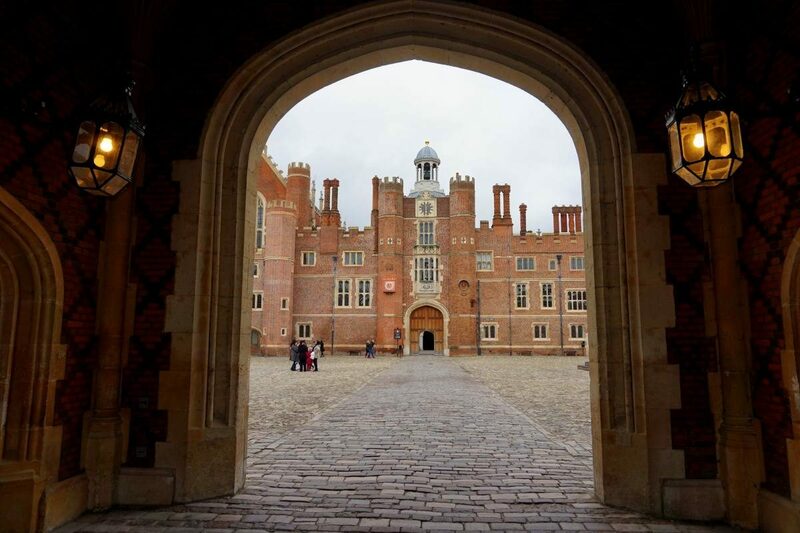 Hampton Court is the center of Tudor history and beyond, therefore it’s one of the most important palaces in England. ‘Why Tudors are so important?’ one would ask. Even if you’re not into history you probably heard about King Henry VIII and his six wives, English reformation, Bloody Mary and the Virgin Queen Elizabeth. 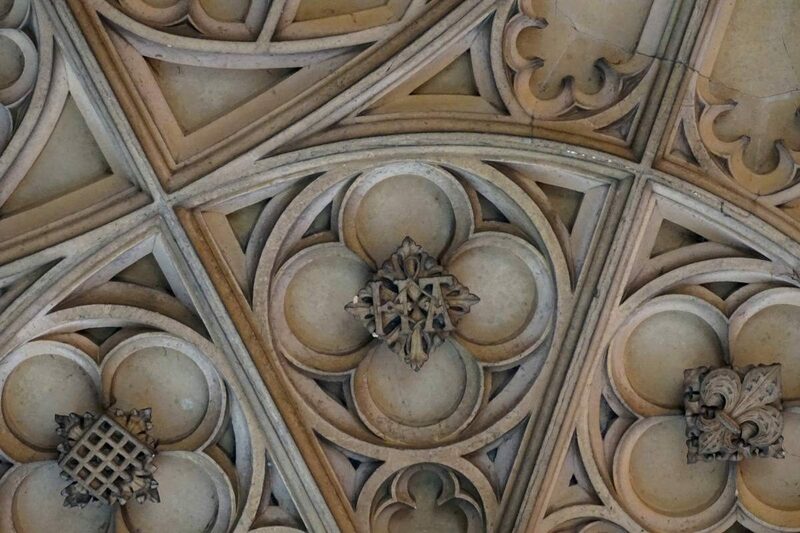 How is Hampton Court related to Tudors? 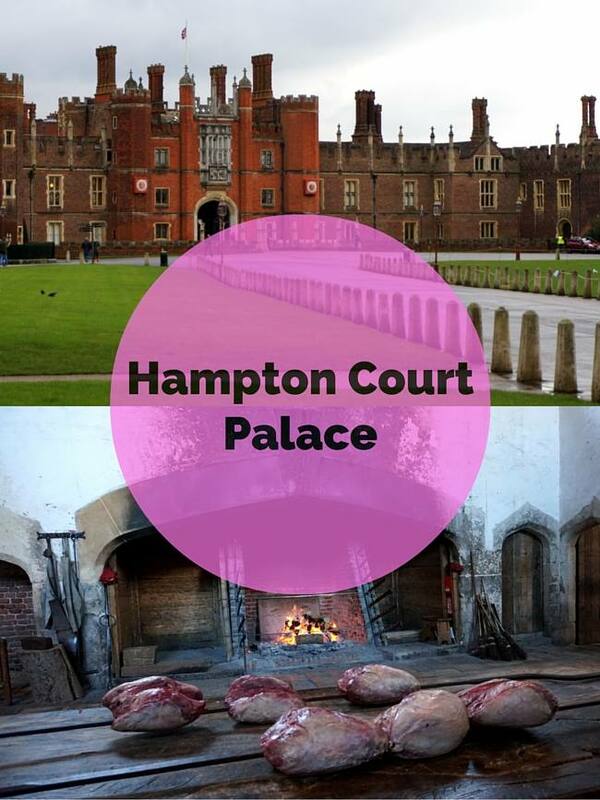 Who lived in Hampton Court? The palace was built around 1515 by Thomas Wolsey, Henry VIII’s Lord Chancellor and the priest. But Wolsey was only to enjoy his palace for a few years. The King upset that Wolsey didn’t manage to get him a divorce from his first wife Catherine of Aragon, he took the palace from him. Council Chamber – where in 1534 Henry VIII signed the Act of Supremacy & the English Reformation started. Henry VIII spent the equivalent of 30 million US dollars to remodel the palace for him and his second wife – Anne Boleyn. Hampton Court became decorated in Anne’s emblems and stained glasses. Including the whole Celebration Hall, with spectacular golden tapestries, was dedicated to her. While it took 3 years to rebuild the palace for Queen Anne, she was quickly executed in 1536 and the palace workers had to replace all her emblems with new ones that belonged to Jane Seymour – Henry’s third wife. Following Jane’s death and unfortunate events with young Queen Catherine Howard, Henry married his sixth and the last wife – Katherine Parr. The ceremony was small and took place at the Hampton Court’s chapel. When the King died in 1547, he was succeeded first by his son Edward VI, and then by both his daughters. They’d turn into frequent visitors at Hampton Court during their reigns. While I mostly focused on the Tudor history here, Hampton Court’s history doesn’t end with the death of Elizabeth I. During Stuart’s the place continued its glamour and got rebuilt a lot during William & Mary’s reign. When the royal family may have left Hampton Court in 1737 and Hampton Court was open to public in 1838 by Queen Victoria. Hampton Court Palace has a ghost. 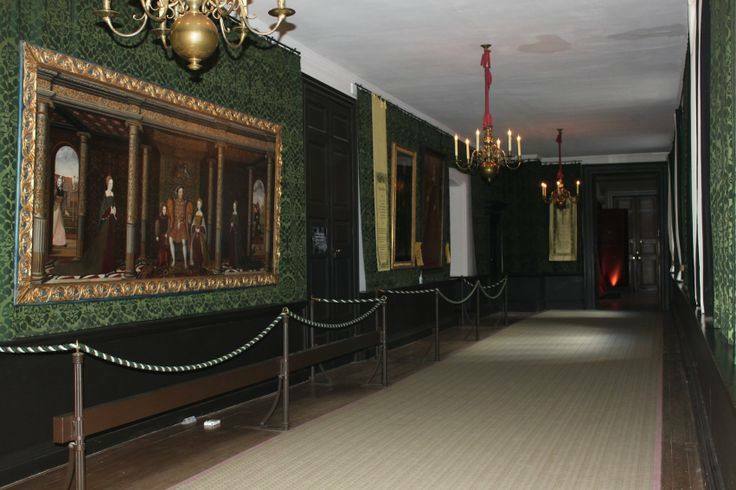 If ghosts are your thing, see if you can hear the ‘Screaming lady in the Haunted Gallery’ known as Catherine Howard. Catherine’s ghost is believed to frequent the Haunted Gallery. 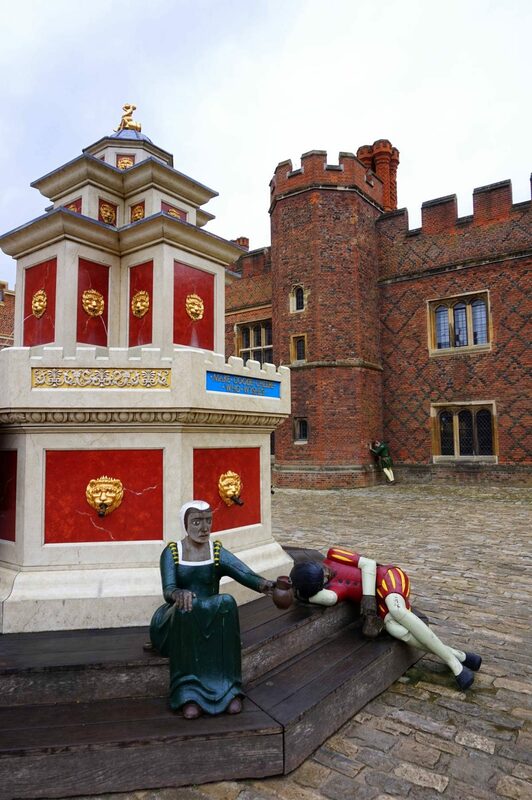 The place she was dragged screaming to her rooms under house arrest – right after she got accused of committing adultery by her husband King Henry VIII, and later executed at the Tower of London. What Do I Like About This Place? I’m a big fan of Hampton Court not only because I’m very interested in the Tudor history. The place the most fun palace I’ve ever been to. A lot of castles and palaces are beautiful, but you cannot feel like you’re actually touring around a real place as everything is blocked. You feel more like in a museum. At Hampton Cour,t you can touch almost anything. Play in the kitchen, stand next to the fireplace and even sit in a replica of a chair in the exact place where the EnglishReformationn has started. If that’s not incredible, than I don’t know what is. The oldest maze in the UK. 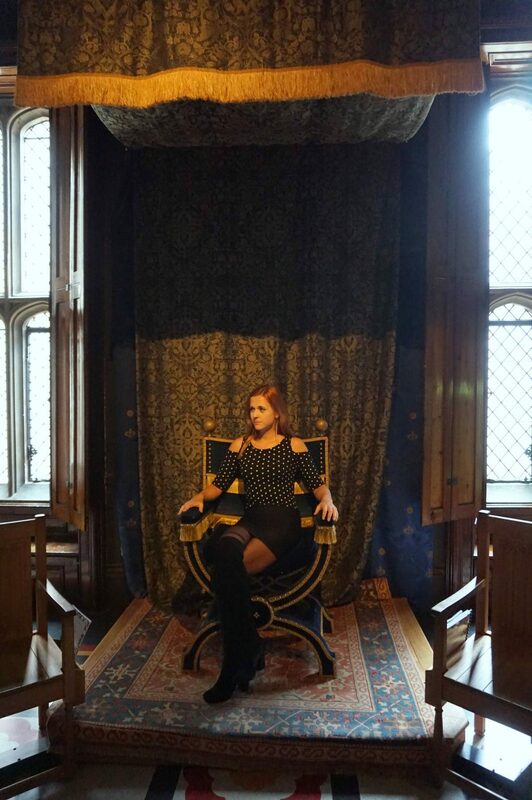 My visit at the Hampton Court is a part of my project ‘Around the World in 80 Castles‘.